24k Gold Plate Bowl paten. Height 1". diameter 6 1/8" Well diameter 3 1/4". 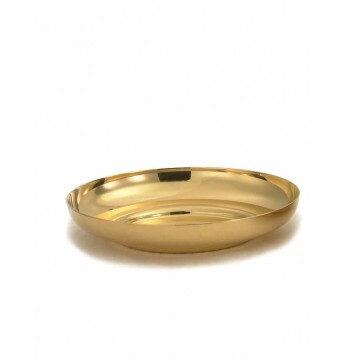 24K Gold Plate Bowl Paten has capacity to hold 150 Communion Host. Measures 1" in height, diameter 6 1/8", well diameter 3 ¾". available in Polished (Pictured) or Hammered Finish. 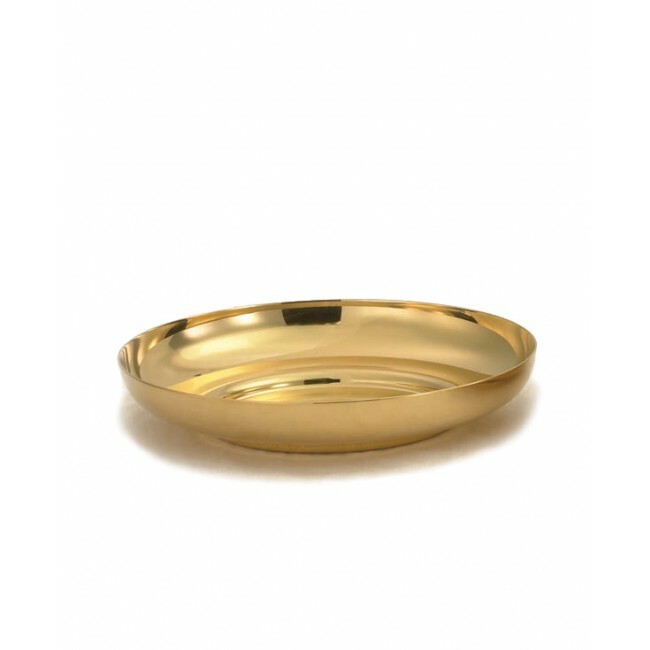 A Paten is a plate, usually of gold or silver, that is used to hold the host during the celebration of the Eucharist. Also called patina.